This meet was highly suspenseful; both teams traded off the lead for much of the meet, making every point earned on the track and in the field vital to the tight finish. The highest total point scorer of the team was junior captain Brendan Donahue ‘20 with a total of 16 points earned on both the track, placing first in the 60 m hurdles (9.06), and in the field with a second place finish in the long jump (6.42 m) and a fourth place finish in the high jump (1.82 m). Ryan Nealis ‘21 ran one of the most stunning races of the meet in the mile, placing first with a time of 4:21.72. Taking the lead in one of the final few laps, he pressed the pace and earned himself a two-second lead by the finish. Additionally, Nealis ran the 800 m placing second (2:00.84) followed closely by Jackson Elkins ‘22 in third (2:00.96). 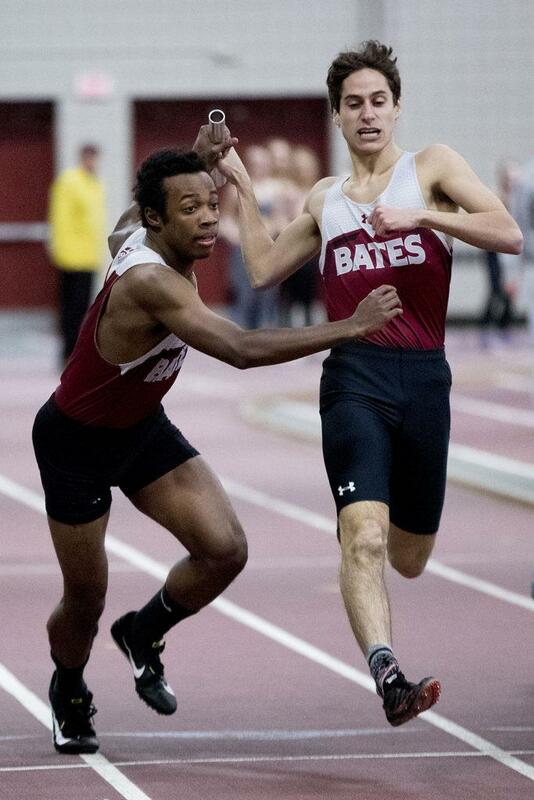 In the short sprints, Ryan Corley ‘19 played a key role in earning Bates 13 points, placing first in the 60 m dash (7.23) and second in the 200m dash (23.30). In the 400m, Miles Nabritt ‘21 won a convincing race in 52.08 seconds, 1.42 seconds faster than second place. Mark Fusco ‘19 earned second place in the 600 m, running a time of 1.26.76. In the throws, John Rex ‘21 led the way for the Bobcats with a second place finish in the weight throw (16.77 m) and a third place finish in the shot put (14.44 m). Both of these events had some of the largest fields of contestants in the meet, with 12 and 13 throwers respectively. Quin Trent ‘22 scored Bates points in the triple jump with a second place mark of 10.81. In the 1000 m, John Mieszczanski ‘22 ran a time of 2:36.19 to place second in the event. Closely following this race was the 3000 m race, the only distance event of the meet. In this race, Bart Rust ‘22 and James Jones ‘20 crossed the finish line together in third (8:57.33) and fourth (8:58.21) places respectively. Bates finished off a strong meet with an exciting set of relay races. The Bobcats fell to MIT in the 4×400 m, finishing in 3:37.18 composed of Nabritt, Frank Fusco ‘19, Liam Evans ‘22, and Elijah Coyne ‘21. In the last relay of the meet, the 4×800 m team of Christopher Barker ‘21, Elkins, Mieszczanski and Mark Fusco, the cheering from Bates was deafening. Bates and MIT were neck and neck going into the last leg of the relay, run by Fusco, as Bates erupted with excitement. With Fusco confidently taking the lead, MIT hung on for a time and then dropped off perceptively as Bates went on to win the race in 8:17.10 to MIT’s 8:25.11. 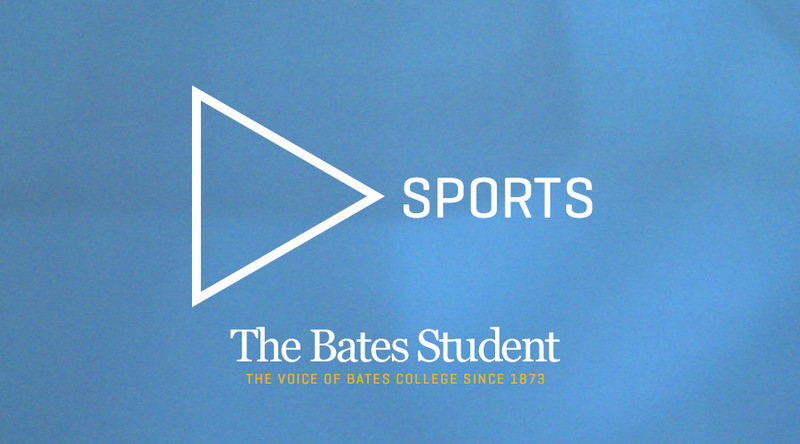 Overall, Bates preformed spectacularly in this meet; this success is even more apparent in comparison to last year’s meet, where Bates was unable to earn a single point in the 60 m and 200 m dashes and the high jump. In meets involving only three participating teams, points can only be earned by the top two runners from each school, differing from other types of scoring which focuses more heavily on placement regardless of team affiliation.